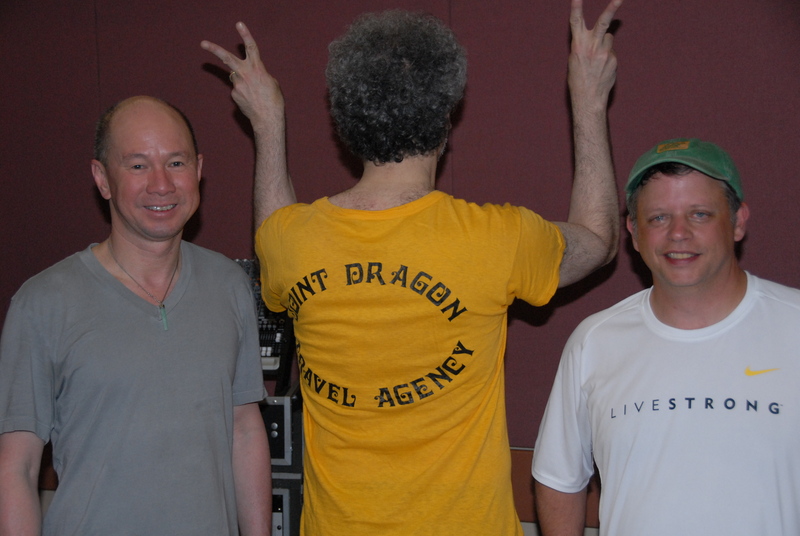 On this rare Friday night Rich organized a reunion jam of his old time band the Joint Dragon Travel Agency. This was a 20-year or so reunion of Chris Law on Bass, Marc Sugarman on drums and Rich on piano. They haven’t been together for a long time so it was a nice treat for me, playing rhythm and Bil, who jams with Chris playing lead on some of our favorite Dead songs, and a couple of Brotman originals, 33rd Street Blues and some other love song and they were probably the best versions yet played of those songs. I think I have played those two before. Being a Friday night, there was a slew of traffic getting into the city but I got there just after 8:00 and we got going by about 8:30. I guess we will see the song list when Rich gets it uploaded. There was some good, some bad, but fun and jamming nevertheless. Low points were probably Dark Hollow and Mama Tried but highlights included the Samson, Eyes, Not Fade Going Down Not Fade Combo. The room never seemed to cool down to a cod level and we were struggling not to break a sweat. I had a good time, nice meeting those guys and paying with another bunch of peeps. Heard an inspiring dog story from Chris about his dogs long-term survival with cancer and we all seemed to share stories and pictures of our dogs. Speaking of which, I had to get up at 6:30 to get to a dog agility trial with Scraps the Dog. I’m proud to say he went 5 for 5 and qualified on each course he ran. He has never done that before and this was at a more advanced level than beginner, so that pretty good and worth waking up for. Check out http://ScrapsRags.Wordpress.com for more info on that. To listen to the music from the night, click on the songs below.